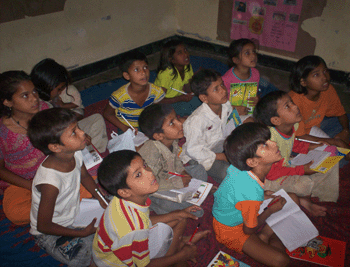 The official GuideStar India blog: Share your joy of getting back to school! 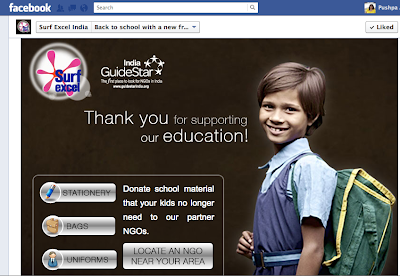 Join Surf Excel India's campaign with 160+ NGOs featured on GuideStar India. Share your joy of getting back to school! 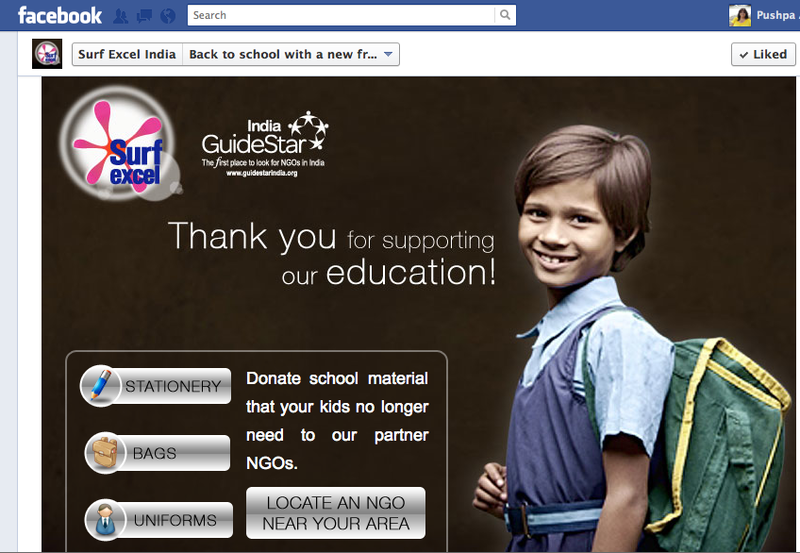 Join Surf Excel India's campaign with 160+ NGOs featured on GuideStar India. Getting ready to send your child back to school? This year, make it special for other children too! Make a gift box with your child's used books, stationery, toys and clothes. Want to give more? Run a collection drive among your child's friends in the neighborhood. Want to give even more? Get your child's school involved and run a drive in the school during the re-opening week. Join Surf Excel India's Back to School Campaign! More than 160 NGOs from across India have made it easy for you to reach out to needy children who go to their leaning centres and schools. Connect with the NGO closest to your location, call them and check if what you want to give is what they need. Find a good time to visit them, so that you can meet their children and get to know about their work. The campaign page of Surf Excel India with 600,000 fans, is buzzing with comments from fans and NGOs. 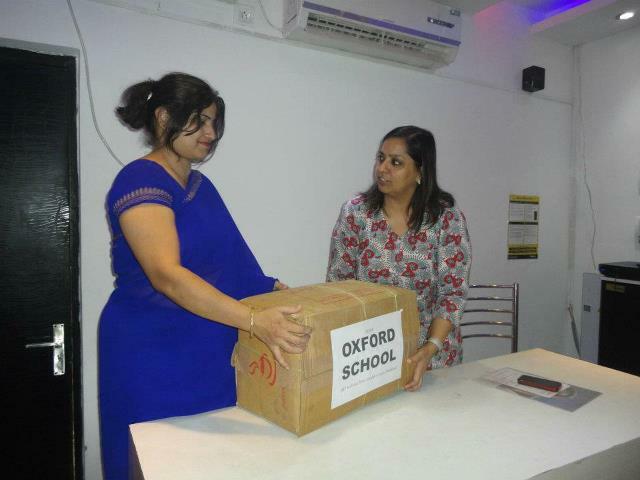 Within days of going live, Oxford School, located on the outskirts of Delhi posted on the page, a desire to share their collection of specimen books and clothes with an NGO close to their location. Thanks to our database of 2300 verified NGOs, GuideStar India put the Surf Excel team in touch with Child Survival India. Within hours the NGO and the school were connected. Very quick to respond, the NGO visited the school, met with the teachers and picked up 4 big cartons of books, notebooks and other reading material for out of school children coming to its learning centres. Deepa Bajaj, Chief Executive of Child Survival India, wrote this to Surf Excel and GuideStar India, "Congrats to you and your teams for this excellent effort!! Thanks a lot for putting CSI in touch with the Oxford School at Faridabad. This kind of effort to link up schools with NGOs would be really helpful and a lot can be achieved thru this, not only in terms of collection of material donations for NGOs but also in terms of sensitising our kids right from beginning and inculcating the habit of sharing & caring amongst them." She also gave suggestions to strengthen the campaign. "Like" the page, connect with an NGO, take your gift box, and make a real difference! Share your joy of getting back to school! What a necessary step has been taken from Surf Excel India's Campaign. Cleaning dust from clothes now it has taken the responsibility to clean illiteracy form India. This is outstanding job from the Excel campaign. Would always like to stand for NGOS to help poor children.